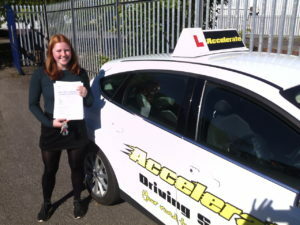 Congratulations to Anna Corr who passed her practical driving test on the 27/9/18 at Brislington Test centre in Bristol, Anna passed with just 5 driving faults. 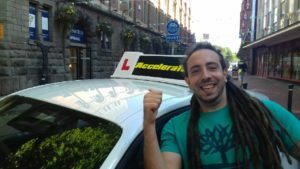 When done from John your driving instructor at Accelerate Driving School. 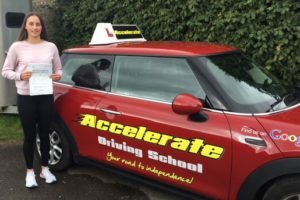 On 14/09/18 Lily Booker took her practical driving test and passed with 0 minor driving faults, with the examiner commenting that it was an excellent drive. 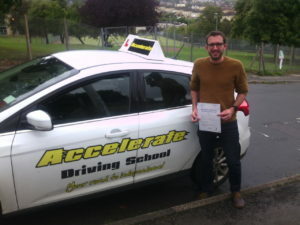 Congratulations to Simon Wrigley of Bath who passed his practical driving test on the 14/9/18 at Southmead test centre in Bristol. 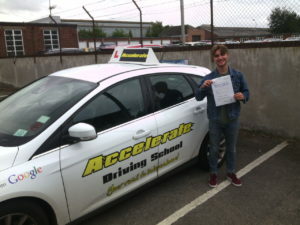 He had an excellent drive and passed with just 1 driver fault, all the best from John your driving instructor at Accelerate Driving School.